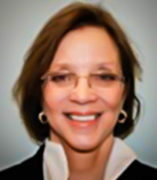 Sharon M. Collins specializes in racial workplace discrimination and written numerous articles on the black managerial achievement. Her book, Black Corporate Executives, published by Temple University Press (1997) is a unique monograph that analyzes the post-civil rights careers of African Americans in corporate America. This work has been featured in Black Enterprise magazine, The Chicago Tribune, U.S. News and World Report, Newsweek magazine, as well as by the British Broadcasting Corporation (BBC), and WGN television. Dr. Collins continues to be interested in racial and workplace discrimination. Currently, she is a consultant and expert witness on diversity and racial discrimination and is engaged in research on corporate employment and diversity. She currently serves on the National Academy of Sciences panel of reviewers for Ford Foundation Dissertation and Postdoctoral Fellowships and is on the Editorial Board of the journal of Race and Social Policy. She has served on the ASA Committees on Nominations, the DuBois-Johnson-Frazier Award Selection Committee and as a counsel member and Chair of the Nominations Committee for the ASA Section on Race and Ethnic Minorities.